Slater and Gordon announced this morning an unprecedented wave of lawsuits behalf of around one in three Australian workers believed to have their super invested as cash with the banks. 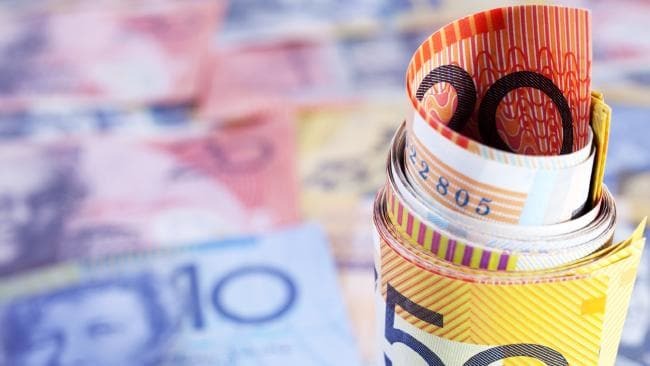 The law firm will allege super funds ripped off some customers by thousands of dollars by parking their cash with the parent bank - rather than the bank that offered the best interest rate - and charging excessive fees. The first lawsuit will be against and CommBank-owned Colonial First State and AMP, with up to 18 further class actions expected to "snowball" against bank-owned and retail funds. "What funds like Colonial First State have been doing is dumping super with a parent bank such as CommBank," said Slater and Gordon head of class actions Ben Hardwick. 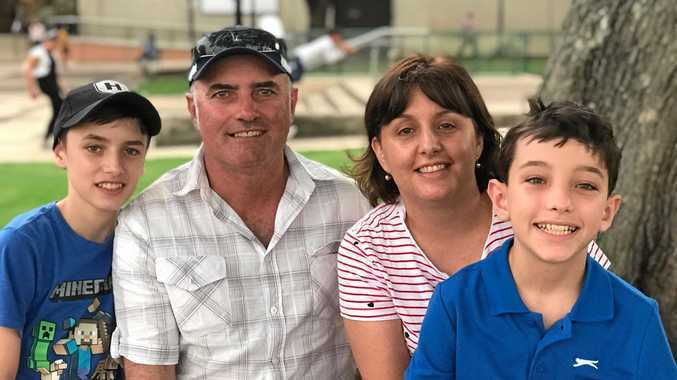 "The interest from the parent bank is so low that investors in the cash option are receiving rates as low as 1.25 per cent a year. This is even below the RBA cash rate. This rate of return is ludicrously low." Most banks offer customers with term deposits around 2-2.5 per cent and "that's what industry super fund members and some retail fund members have been getting". Exchange between AMP Super chairman Richard Allert and counsel assisting Michael Hodge QC. As one example, "Theo" has $25,000 in a cash investment option of a big-bank-owned super fund, which deposited that cash with its parent bank. Over five years, the investment grew by $1812 after fees. Over the same period, "Jane" had $25,000 invested with an industry fund which spread that cash with a range of banks. Her investment grew by $3406. There are an estimated 28.6 million superannuation policies held by 14.8 million Australians. The $2.6 trillion industry represents on fifth of the wealth of all Australian households - retirement savings are second only to the family home by value. About 55 per cent of superannuation policies, or 8.2 million, have at least one retail account and it is believed that almost all of these would have some cash component. Slater and Gordon estimates the landmark lawsuits could get some account holders as much as $3000 back and end up costing the banks more than $1 billion. It comes after a Productivity Commission report earlier this year raised serious concerns about the "$2.6 trillion unlucky lottery", with young people and workers on low incomes particularly vulnerable. The PC said the super system's "two fundamental flaws" were members accumulating unintended multiple accounts - leading to billions of dollars each year in unnecessary fees and insurance premiums - and "entrenched underperformance" by some default super funds. Slater and Gordon's lawsuits, which even with a conservative five million sign-ups would dwarf the 150,000 involved in the class action against bank fees and the 10,000 for the Black Saturday bushfires, stem from evidence uncovered by the Financial Services Royal Commission last month. 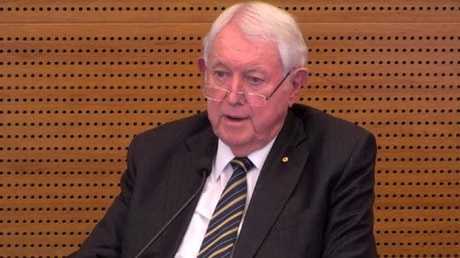 AMP Super chairman Richard Allert at the banking royal commission last month. ALLERT: Well, some - some have underperformed against competitive products or I've had many discussions with AMP Capital where I've been concerned that there has been underperformance in some products where our members could read the newspaper and see comparisons of funds that they often see. So I've asked questions about how that occurs and what they're doing about it. ALLERT: I'm just giving that as one example of how it could happen. But other examples would be trustee services. Trustee services would think that there was an issue and they would bring that to the board's attention. ALLERT: Well, the reasons can be complex, but there's a fee charged on the - in some cases, it's a fee charged to a product which doesn't differentiate between the asset allocation of that product. And so if a product has $100 and $70 of it is Australian equities and 20 is international equities and 10 per 25 cent is cash, the same fee is charged over that whole amount. In other aspects, if there's just cash only, then there's an administration fee that absorbed the interest return on that product. HODGE: And does that suggest to you that AMP's return on cash will remain uncompetitive? ALLERT: If you're getting 0.2 per cent on cash it's uncompetitive if you invested directly into a term deposit, obviously. HODGE: Well, even if you weren't investing it in a term deposit, if you just invest it in an interest bearing account with AMP Bank you will get a much higher return? 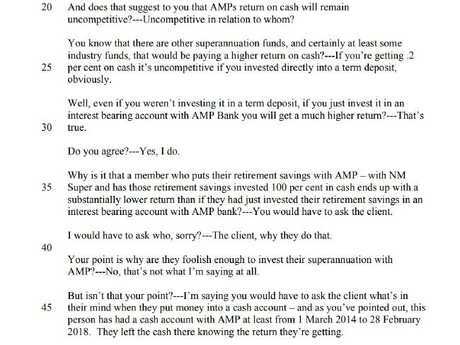 HODGE: Why is it that a member who puts their retirement savings with AMP - with NM Super and has those retirement savings invested 100 per cent in cash ends up with a substantially lower return than if they had just invested their retirement savings in an interest bearing account with AMP bank? ALLERT: No, that's not what I'm saying at all. HODGE: But isn't that your point? ALLERT: I'm saying you would have to ask the client what's in their mind when they put money into a cash account - and as you've pointed out, this person has had a cash account with AMP at least from 1 March 2014 to 28 February 2018. They left the cash there knowing the return they're getting. HODGE: Is it possible, if they're in the Super Directions for Business product that the way in which they have ended up with AMP is because AMP is the default fund nominated by their employer? HODGE: So the member has ended up in the fund in the product. There's still an obligation on you, as the trustee, isn't there, to act in the best interests of the members? HODGE: And wouldn't one way in which you would go about discharging your duty to act in the best interests of the members be to attempt to lower the fees on cash to produce a competitive return?